The highly populated DC, MD and VA area is prone to power outages. Maryland isn’t called “America in Miniature” for no reason. We experience all types of weather, from snow, to thunderstorms and high winds – all of which are just a few of the things that can cause a power outage that will last an unknown amount of time! Take a look at these major advantages of a generator, and learn why every DC, MD and VA home should have one ready for nature’s unpredictable weather. The most important advantage of generators is the ability to still run heat, appliances, lights, and other functions of the home during power outages. You can’t rely on electric crews to restore power to your home quickly, or even within a day or two depending on the severity of the power outage. Generators keep your food cold, your house warm, and your lights on when you need it most. Have you ever seen people scrambling to the store for flashlights, water and space heaters at the mention of an impending snowstorm or hurricane? 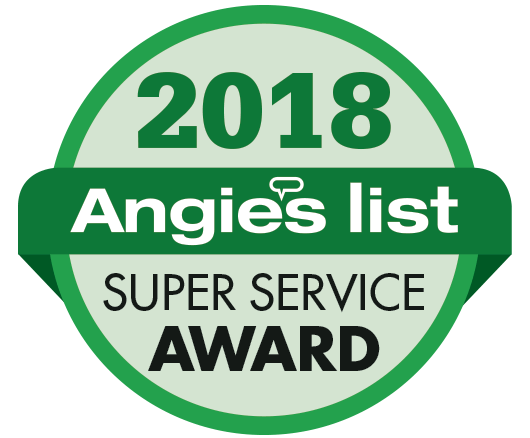 While it is still a smart idea to have emergency preparedness items stocked up just in case, it’s wonderful to have the peace of mind a generator gives families and homeowners. Generators eliminate the worry of the possibility of no power for days in several feet of snow. With regular maintenance, generators are extremely reliable backup plans. And they’re incredibly affordable, at that. They’re also easy to install, especially when done by experienced professionals, such as the TriStar Electric crew. We estimate, install, service, troubleshoot, replace parts as needed and routinely maintain generators. 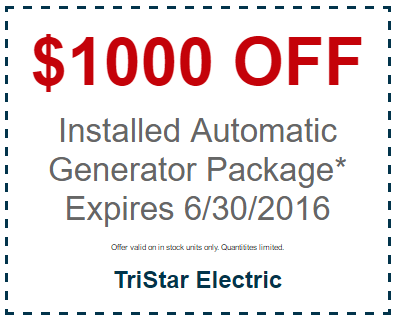 And right now, we’re offering $1,000 off an installed automatic generator package, valid until 6/30/16! TriStar is your one stop shop for backup generators, so give us a call today to have your new generator installed! This entry was posted on Monday, April 18th, 2016 at 1:49 pm. Both comments and pings are currently closed.